Are you looking to upgrade your workouts with something new? If you haven’t tried bosu ball exercises, they could be exactly what you’re looking for to take your fitness to the next level. Enhancing classic exercises like the plank, squats and crunches, bosu ball workouts whip your core into shape, tightening and toning for a body you’ll be proud of! Check out these 10 bosu ball exercises (for beginners and the more advanced bosu ball users) for amazing results! 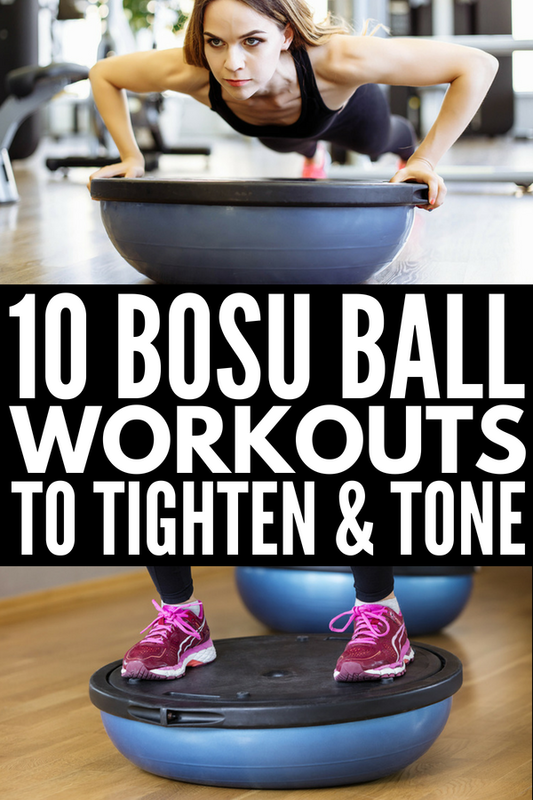 These bosu ball workouts will get your fit fast! Get the body you’ve been waiting for whether you’re a beginner or more advanced bosu ball user! If you loved these bosu ball workouts, please share this post on Pinterest! And if you want more fitness tips and tricks, please follow our Fitness board on Pinterest!